Smith College fosters a sense of leadership among its students. It strives for academic excellence and global readiness for women. The curriculum is grounded on the humanities and sciences. If you want to pursue your undergraduate studies in this college, you need to pass the SAT and ACT. You also have to fill out the common application and supplement, which you can download from the Internet. Evaluation forms, mid-year school report and secondary school report, and college admission essay are also necessary. Bryn Mawr College is famous for its sciences and liberal arts. Bryn Mawr offers 36 major and 38 minor courses. The students are also allowed to cross apply to other Universities such as the University of Pennsylvania, Haverford, and Swarthmore College. This college fosters academic excellence. The requirements are two teacher’s evaluation reports, mid-year school report, final report, scores for your SAT, ACT, TOEFL (if you’re a foreign student), common application and supplements, and college admission essay. Mount Holyoke College has a good curriculum that offers excellent training in critical writing and speaking skills. This college offers 43 major courses. Mount Holyoke College prepares women for global trends in different aspects, and it also offers academic programs to international students. 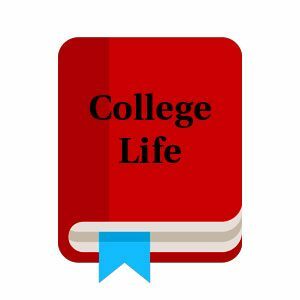 If you plan to study in Mount Holyoke College, you have to submit a common application and supplements, mid-year report, secondary school report, and college admission essay. Barnard College was founded by Frederick Barnard in 1889 with the belief that women should undergo an intense educational program such as that of men. Barnard was the tenth president of Columbia College. Barnard College fosters a strong intellectual environment. The college is also famous for its liberal arts academic programs and for the diversity of its student body. In applying to Barnard College, you have to submit the common application and supplement with checklist of forms, mid-year and secondary school reports, and college admission essay. A pioneer college, Wesley College was one of the colleges in the US that first offered a computer science major. Wesley College is also known for its liberal arts academic programs. The college promotes cultural understanding and intellectual excellence. Passing the exams, requirements, and college admission essay is very important in applying for admission in these colleges. To give you an edge over the other applicants, you have to write a remarkable college admission essay. You can view sample college application essays to guide you in writing your own. After you decide where to study and what course to take, you must now prepare your sport achievement resume. Your sport achievement resume should show your sport history like the competitions you participated, the seminars you attended, and your plans and goals regarding sports. Then, send your sport achievement resume to many coaches, and make follow up calls after a couple of week. If you can, provide a video showing your skills in a specific sport.